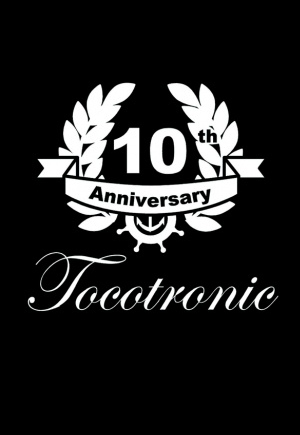 10th anniversary DVD/CD release of German band Tocotronic covering the years 1993 – 2003. Featuring all music videos, complete discography, bonus material with documentaries, rare live/tv footage and first ever 7″-single special. Plus 23 track Audio-CD with all b-sides and rare audio recordings. DVD/CD Veröffentlichung zum 10jährigen Band-Jubiläum von Tocotronic (1993 – 2003). Die DVD enthält alle Musikvideoclips, eine komplette Diskografie und Bonus Material mit Dokumentationen, raren und obskuren Live/TV Auftritten, sowie einem Special zur ersten 7″-Single von Tocotronic. Plus 23 Track Audio-CD mit allen B-Seiten und seltenen Audio-Aufnahmen.